One of my dog walking clients recently adopted a 3-year-old Italian greyhound who wasn’t housebroken. He peed and pooped all over her house, and the rescue group where she adopted him suggested that she use crate training to housebreak her newest family member. Because my client works full time she called me in to walk the greyhound during the day. We had fun on our long walks and he willingly returned to his crate with a favorite treat and toy to settle down and relax until his “mom” returned home. Everything was going according to plan except for one problem—my client wasn’t happy. Crating filled her with guilt as she thought it would traumatize her dog. So, is crating cruel or is it an effective training tool? The use of a crate as a training tool is controversial. Many leading animal welfare groups such as the HSUS and the ASPCA believe that when used properly crating is an effective and humane training tool. Behavioral experts at the HSUS recommend crating dogs until they can be trusted not to destroy the house, and after that leaving the crates around as a place where dogs can go voluntarily. 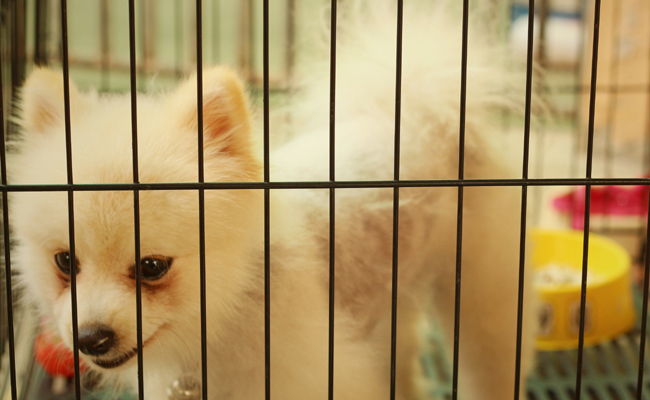 Other groups such as PETA believe that crating is cruel and has become a popular “convenience practice” that is often used on adult dogs. Teaching dogs to feel comfortable in crates is an essential part of the training at Best Friends Animal Society headquartered in Utah. Crating keeps the dogs safe as they settle into their foster homes and are transported by car or plane to their new homes. Learning to be comfortable in a crate also prepares them for possible emergency evacuations that would require transporting a large number of dogs to safety. According to Best Friends, dogs are hardwired by their genetic history to be den animals. A den is a small, safe, well-defined space, a place where dogs instinctively feel safe. It is also a place that they instinctively avoid soiling and the combination of the two native traits are what makes crate training, done in the right way, a kind and effective component in house-training a new puppy or dog. Best Friends Behavior Consultant Marcia Helm has successfully used crate training for the 250 foster dogs that have lived in her home. The crates, she said, protected the dogs and her home. The behaviorist cautions that the crate should never be used as a form of punishment and is also not a good training tool for dogs suffering from separation anxiety. On the other hand, she finds that crates are extremely helpful when working with fearful dogs who appreciate the opportunity to retreat to the safety of the crate. 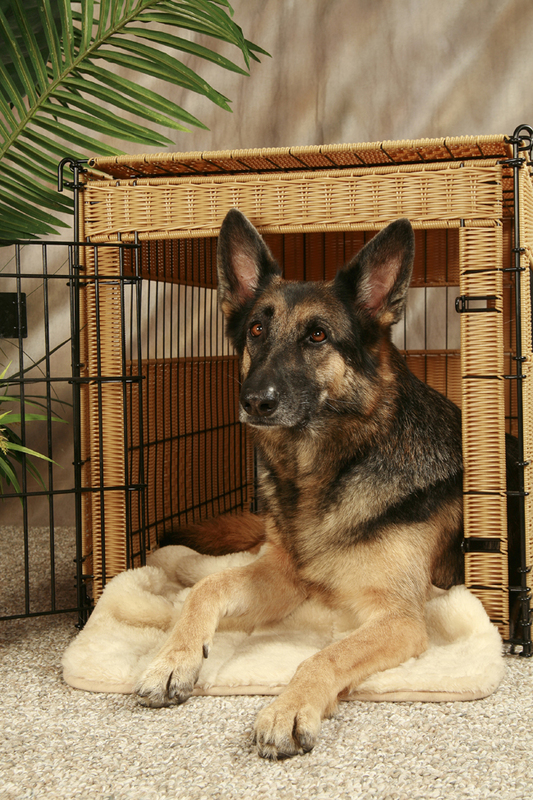 Crating also helps exuberant dogs by providing them with a place to calm down and relax. In families with young children, a crate can be a wonderful refuge for dogs who need some quiet time. In this case, it’s essential that children are taught the dog is off limits when he is in his crate, Helm said. For dog owners who are frustrated with home destruction but aren’t comfortable with crating as a training tool, Helm suggests cordoning off a small space and laying down puppy pads. She still advises leaving an open crate in the space so the dog can go there to relax. When a smaller space in the home isn’t an option, she suggests attaching an x-pen to the crate. Don’t leave your dog in the crate too long. A dog that’s crated all day and night doesn’t get enough exercise or human interaction and can become depressed or anxious. You may have to change your schedule, hire a pet sitter or take your dog to a daycare facility to reduce the amount of time they spend in their crate each day. Puppies under 6 months of age shouldn’t stay in a crate for more than three or four hours at a time. They can’t control their bladders and bowels for that long. The same goes for adult dogs being housetrained. Physically, an older dog can hold it, but they don’t know they’re supposed to. The crate should be large enough for dogs to stand up and turn around in. If your dog is still growing, choose a crate size that will accommodate their adult size. Block off the excess crate space so your dog can’t eliminate at one end and retreat to the other.